It has been about a month since my initial review of Fortnite was published, and putting down the game has been a real challenge. What I thought would be a fad turned out to be one of my favourite games of all time. On Thursday at five in the morning during Reading Week, Fortnite released a new update. My group of friends stayed up for its launch. Jumping back into the action, we unanimously found the game was even better. Running at 60 frames per second, now on console, the game looked simply amazing. It seems like Epic Games really listened to what players were griping about — the game looks superior to its previous version, building within the game is smoother, and free loot is more available and more abundant. I found myself deciding to buy the battle pass before even knowing what it offered. 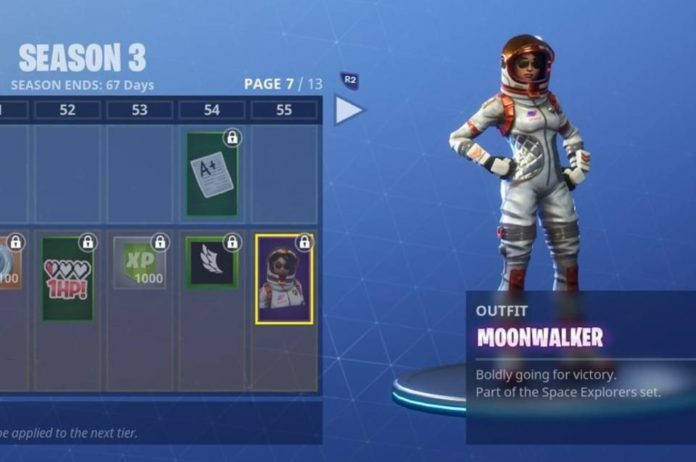 The battle pass gives players additional challenges to earn different cosmetic items for their character in-game. While this may seem like a waste of money, it is important to remember that supporting a game financially is the best way to have a say in what is being made. Boycotting stagnant triple-A titles, and purchasing games that are truly pushing forward the medium, is an important act any consumer can make. After all, this game is free to play — you can spend countless hours with this game without paying a dime. In actuality, aside from having the game run at 60 frames per second and a couple extra levels, the update didn’t do anything major, and a few bugs still need to be ironed out. What Epic Games did do was make the little things so much better. For example, when players run out of material while building, it now switches to the next resource so players can continue building without having to manually switch. While this may seem like a small feature, during a firefight forgetting to switch to brick after running out of wood can be the difference between winning and losing. Fortnite was a great title even in its initial release, but after some time to soak it in, it has become one of my favourite games. The teamwork and planning that this game fosters is definitely worthy of all its praise. Orchestrating a base takedown with two other players shooting at those in the base, sniping anyone who is brave enough to peek out of their base, and taking out the bottom of the structure to ultimately force a team to fall to their death, can be one of the most gratifying experiences to be had both in this game, and in gaming overall. How would rent control policy affect student housing?